** 2 dogs in same room must be under 50 pounds combined. Pick up and return service available within a 15 mile radius $10 per way. Payment due when you pick up your pet. 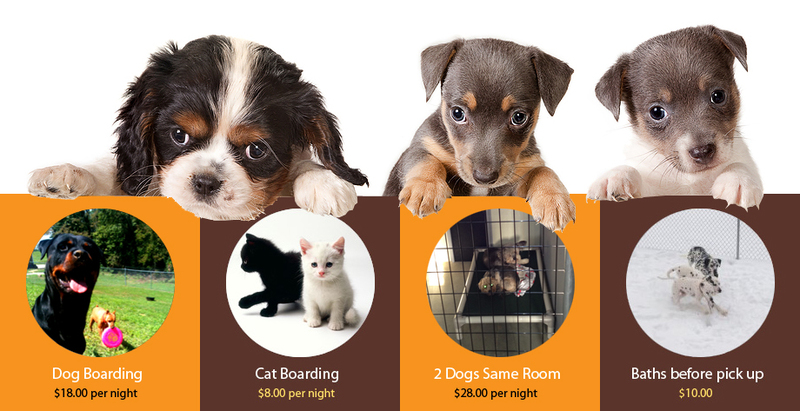 Special pricing for approved rescue groups wanting to hold a dog. Call us for information.